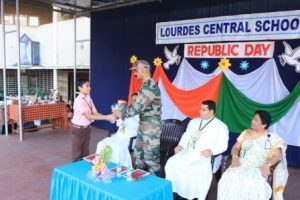 A man’s eyes should survey the world but his feet must be planted in his country’. 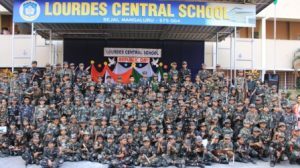 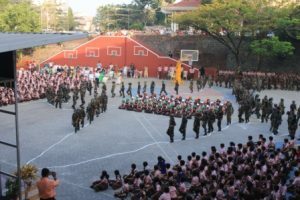 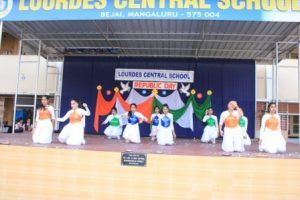 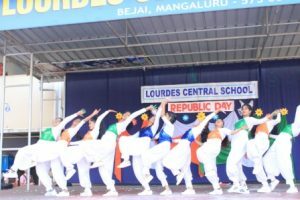 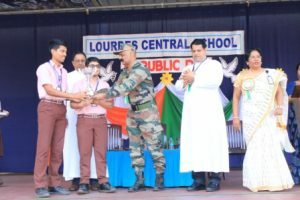 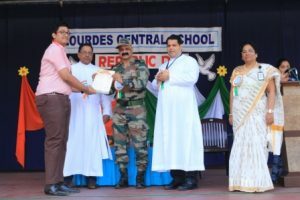 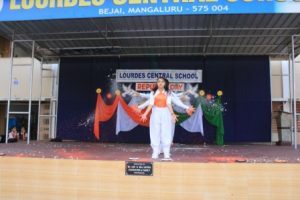 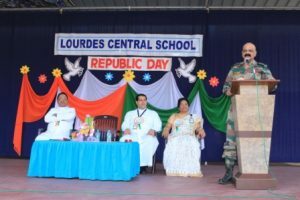 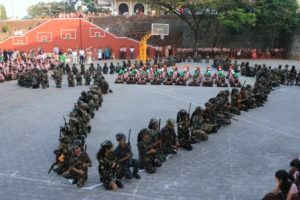 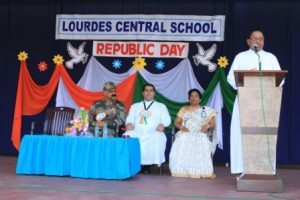 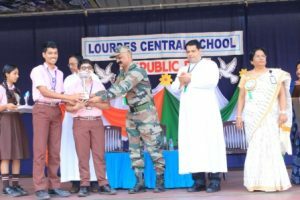 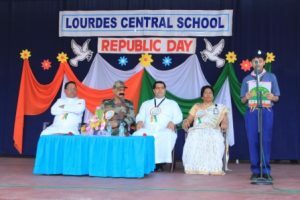 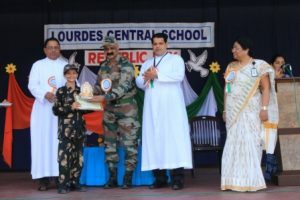 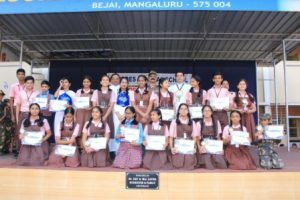 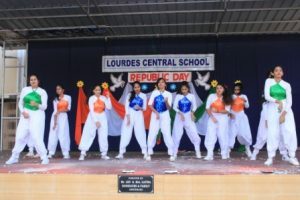 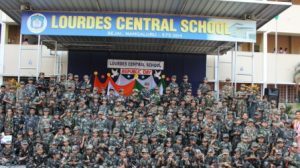 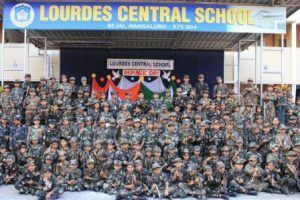 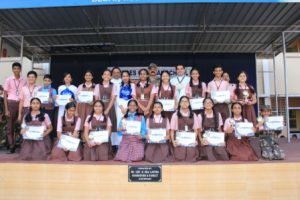 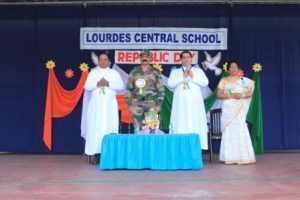 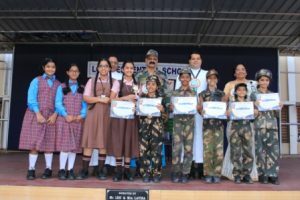 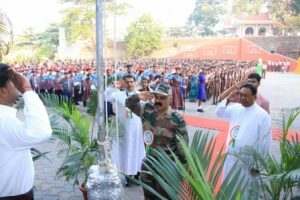 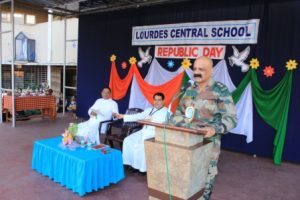 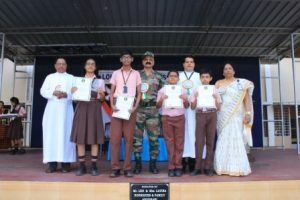 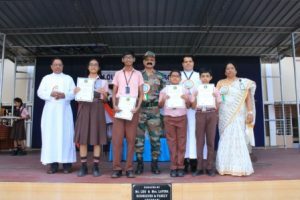 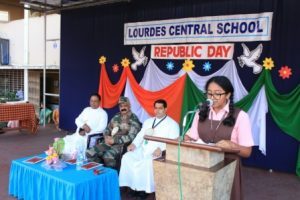 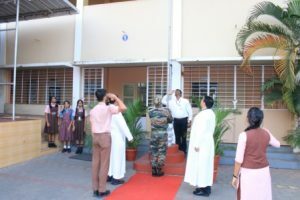 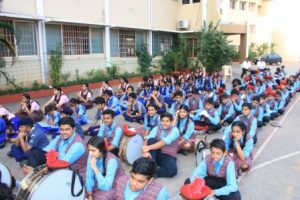 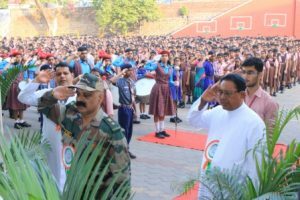 The 70th Republic Day was celebrated at the school grounds on 26th January 2019. 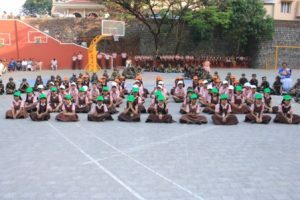 The programme began invoking God’s blessings through the Universal Prayer and hymn. 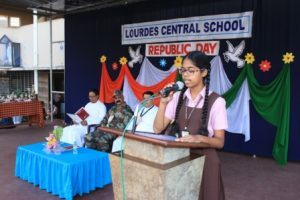 Andrea of Class VIII introduced the Chief Guest and welcomed the gathering smartly.